Winter/Spring is here, it's probably great to hang out indoors and find a comfy spot to relax and have a cup of tea. We wanted to design something exotic, elegant yet comfortable for any comforting occassion. It's perfect for mums to be, maternity wear as well, so cozy and yet really stylish too. And maybe for your baby shower, you can wow your friends with this beautiful caftan. 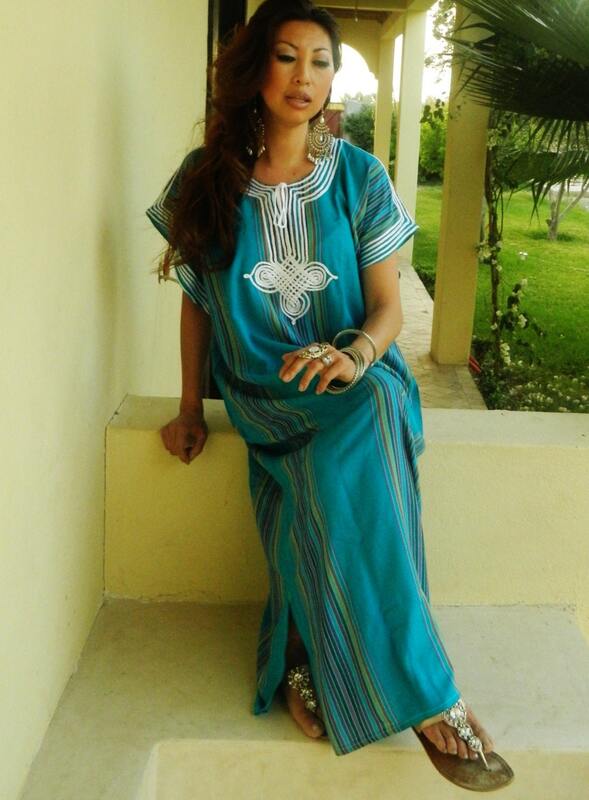 ♥This caftan comes in One size (Suits all sizes, up to bust 130 cm, 50 inches). I think I have 4 of their dresses and the shop has never been disappointing.The dress fits great+the fabric is lovely. Confermo questo negozio come mio preferito. Ottimo rapporto qualità prezzo, ottima la comunicazione con il venditore. Ci tornerò presto. This caftan is beautiful! The fabric is incredibly soft and flattering. I get many nice compliments when I wear it.